Canadians would do well to reflect on what they have – and haven’t – learned from the Indigenous people who welcomed settlers to what would eventually become Canada, former governor-general Adrienne Clarkson says. It was Robert Frost who told us in The Death of a Hired Man that "Home is the place where, when you have to go there, they have to take you in." Home is the ultimate refuge, the place of obligatory belonging, the destination of the spirit. The idea that, ultimately, there is a place where you belong, a place which is acknowledged, is a compelling one. We all want to feel that we have a home: security, trust, understanding – all are a part of what we feel our personal home is. In this time of increased migrations, it's worth considering once again the notion of home: the kind of home that Canada has been, is, and will be, for many. Canada's original residents gave an introductory lesson in "home," as they welcomed newcomers – Europeans – to their land, and helped them learn how to survive. In a tragic irony, it is their First Nations descendants who now find themselves exiled from a sense of belonging, often literally homeless as well as uprooted from a sense of this land as home. We would do well to reflect on what we have – or haven't – carried forward of their welcoming legacy, and on what kind of home we offer to newcomers who come after us. In the 1948 United Nations' Declaration of Human Rights, Article 12 says "No one shall be subjected to arbitrary interference with his privacy, family, home or correspondence, nor to attacks upon his honour and reputation. Everyone has the right to the protection of the law against such interference or attacks." Home is a feeling as well as a shelter. It is what makes the phrase "feeling at home" or " chez soi" meaningful. Those of us who were lucky enough to have parents until we were adults identify home as where we grew up, where, hopefully, we were loved and cared for until we could face the world ourselves. In the fortunate industrialized world, this means we went from our parents' care to our own homes, modelling our futures on our past. 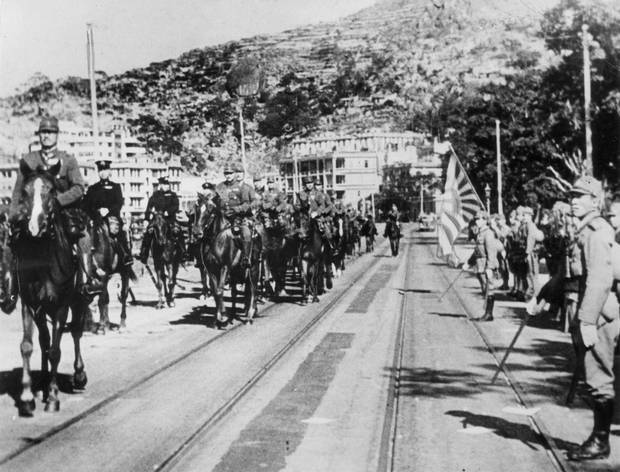 Aug. 26, 1942: Japanese troops march into the fallen city of Hong Kong. 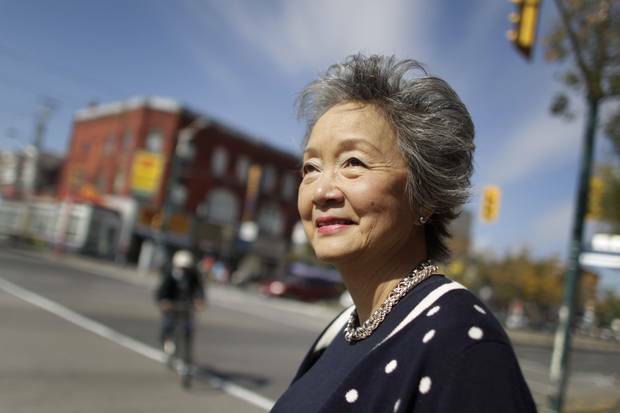 Adrienne Clarkson’s family fled the Japanese-occupied territory to Canada after their home was looted. Even though I came to Canada as a refugee, I came with my family intact – mother, father, and brother. We had suffered serious trauma, having to abandon our home under bombardment, hiding in basements and watching an enemy, the Japanese army, occupy and destroy. My family's house in Hong Kong was looted and my mother saw our household furniture, the baby grand piano, the hand-painted heirloom china, and the silver tea and coffee service sold on the street. Our dog, a borzoi called Snow White, who had run away during the bombing, returned to us with human entrails in her mouth. Our home in Happy Valley was taken away from us and defiled. When we made our way toward Canada on that Red Cross ship with one suitcase apiece, we had lost all our tangible bearings. But what was within us could not be destroyed. What was in us was the will and energy to begin again – in a new place, no matter how tough. Despite the Chinese Exclusion Act, an active law intended to keep Chinese immigrants out of the country, we managed to settle in Ottawa, which was then a city of 90,000 people. Here, the only Chinese either owned restaurants or laundries. But it was the Anglican church that welcomed us and made us feel at home, and that gave my mother, who was Hakka – and whose family had been Anglican for four generations – help and confidence. Coming from Hong Kong, we all spoke English, as good colonials should. I often think of this when I think of the surge of people around the world, the millions on the move, swelling the refugee camps where they languish for not months, but years, waiting for the opportunity to leave. In Canada, our challenge is to make immigrants feel that they have found the place where, when they had to come here, we had to take them in. Integration isn't always a matter of getting lost in the crowd. Sometimes a sense of home can be built in places that may seem insular at first – not Toronto or Vancouver but Moose Jaw or Red Deer. As governor-general I went to Red Deer 15 years ago because they wanted to show me that their population mosaic was as great as Toronto's. They had jobs to offer there and they were welcoming newcomers. Among the 300 people who greeted me, 24 countries were represented. Filipinos, Chinese, Kenyans – all got up and spoke about the advantages of coming to what was at that time a city of 75,000 people. Initially, they said, they stood out as foreigners – they were stared at, but they found they could live through that, and if someone directed a racist epithet at their child, someone else would say, "I know his mother – she works at my local Tim Hortons." And so they felt they quickly became part of a community. They all said that if they had known that they would have to go to a small city to find work, rather than settle in Calgary or Edmonton, they would have said, "No thanks." In a big city, you can find others like you – whether you like them or not – but you will never be a novelty or different, in the best sense of the word. People of my generation remember being the only South Asian family in London, Ont. or the only Chinese in St. John's. It's not possible to hide in communities of that size, and I'm of the belief that this isn't such a bad thing. I have a leaning toward the "So I am different. Let's get that over with now" school of integration. It will cause discomfort for newcomers, but is being stared at in a street or in a store too high a price to pay for establishing yourself in a country in which you are free to choose where you want to live and how you want to live? My parents would emphasize to me that, in Hong Kong, they would not have been able to afford the kind of education we were getting for free in Ottawa – wasn't it worth enduring some gawking on the first day of school for that? We must never interpret social awkwardness as an insurmountable barrier to belonging, nor bad manners as an ultimate form of rejection. True, ugly racism manifests itself in other ways which we can address and combat as a society within our legal system. Some personal suffering, some loss of dignity, some sense of being excluded – all can be steps in a kind of Calvary that leads to acceptance and feeling at home. So many of us who are Canadians now have had to go down this road in the past. Those of us who came to Canada like me, a refugee, or those who chose to leave their birth countries and chance something different, something more, have risked that we can go somewhere and be taken in. In Canada, we are in a position to take people in. And they will arrive to our cities and to our towns and communities. There will be room made for them. Or, they will make viable room for themselves in what The Globe's Doug Saunders has described so vividly as "arrival cities": What looks like disorder and distress can actually be an organic chaos leading to the innovative organization of a home. We are supposed to be a healthy and prosperous country – one that is known to shelter and provide for its citizens. Unfortunately, despite this, we have the stigma of unacceptable homelessness and poverty in our country. We know that 235,000 Canadians experience homelessness each year, and that 35,000 are homeless on any given night. Twenty per cent of our homeless population is made up of people between the ages of 16-24. It is shameful that our Indigenous peoples are overrepresented in our homelessness population: One in four people who experience homelessness identify as Aboriginal or First Nations. We want to welcome newcomer families to our country, and yet somehow Canadian children and families are the fastest-growing demographic experiencing homelessness today. All this is a national disgrace. We must adhere to the values that make this country a desirable place to settle in: "So the last shall be first, and the first last," as the Bible says. We have means enough to focus our resources on the people who need them most, wherever they may be from. What we have to do in Canada is assure that the place that has to take people in can offer a real home to them and to the people who are already living here. We must be certain that we are always working toward an egalitarian standard of living. We must give ourselves the goal of eliminating the blight of homelessness, the institutionalizing of food banks, the disgrace of filthy water on our reserves. Over 40 years ago, in 1976, when we started the CBC's investigative news programme the fifth estate, we opened a working file on bad water at Grassy Narrows. Several months ago, there was a story on bad water in Grassy Narrows in The Globe and Mail. We do have to wonder, What the hell is going on? For our Indigenous peoples, a home must be the place where they are cared for and valued, just as much as we cared for the strangers who arrived and needed to be taken in. We must never forget that the Indigenous peoples took us all in as strangers, opened their land to us, and shared their skills and their knowledge so that we could live in a country with a rude, difficult climate and impossible terrain. Through the waterways and in their canoes, we mastered this land and called it home. It is our duty and obligation – and a part of being a citizen – to make sure that home is bountiful for all of us. The Rt. Hon. Adrienne Clarkson was the 26th Governor General of Canada, from 1999-2005, and is the co-chair of the Institute for Canadian Citizenship. She authored the 2014 CBC Massey Lectures Belonging: The Paradox of Citizenship. 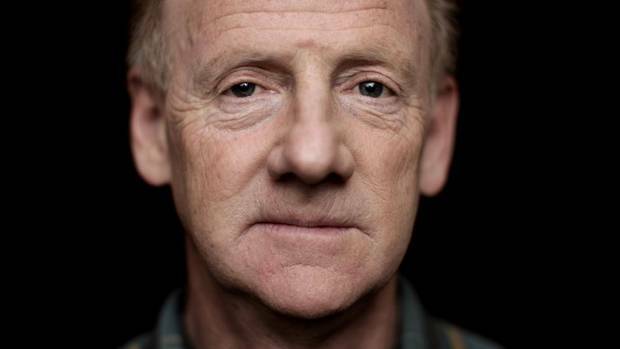 John Ralston Saul: The bridges Canada must build, right here at home Before Canada can teach the world about immigration, it must first listen to its own Indigenous peoples. 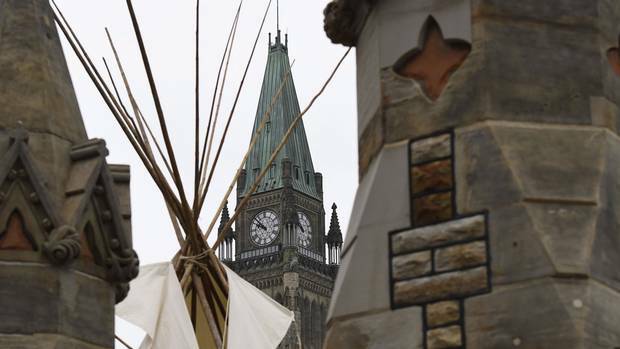 Niigaan Sinclair: Indigenous nationhood can save the world. Here’s how For centuries, the Westphalian nation-state has fuelled a cycle of greed, protectionism and violence – and Indigenous people are still resisting that legacy today. 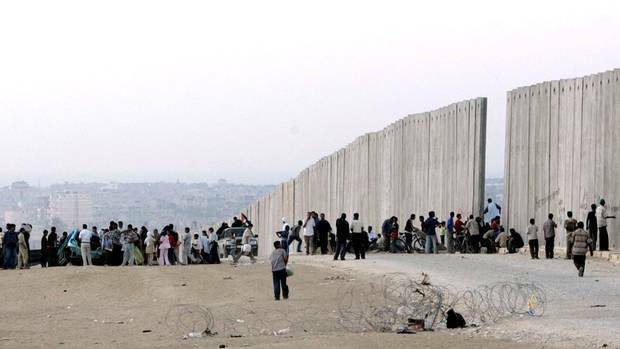 Charles Foran: Let’s rethink the walls that divide us Driven by nativism and fear, barriers both psychological and real are isolating us from each other as never before.